With a basic charge of $45 per hour, StereoMan offers repair and installation services at very competitive rates. If you need on site work done in your home or business, StereoMan will come to your location with tools and equipment in hand for a mere $10 for the first 5 miles (covers most of Asheville proper) and $2.00 for each additional mile. 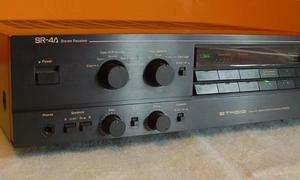 Most common problems with amps and receivers can be repaired for less than $70. When a more expensive repair is indicated, StereoMan will give you guidance as to whether replacement would be more sensible. StereoMan’s minimum charge for diagnosis and exact cost quotation is always just $25.